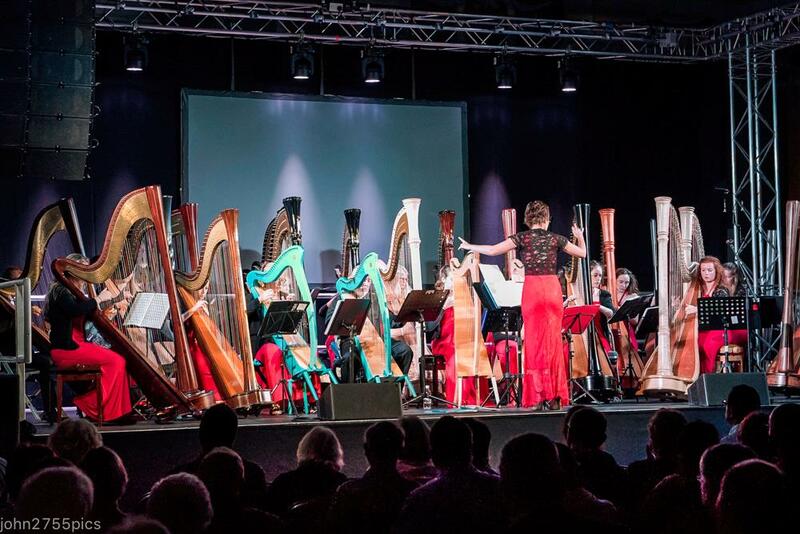 The National Youth Harp Orchestra is celebrating its 15th birthday with a new commission. The 30 young players in the orchestra will be performing at St James's Church, Piccadilly on Saturday 16 September and giving the first performance of Patrick Hawes' St George and the Dragon. The concert will also include music from Russian Doll by Heather Brooks, who plays in the orchestra, and studies at the Purcell School. Patrick Hawes' previous music for harp includes his Highgrove Suite for harp and chamber orchestra, which evolved from a commission for Prince Charles' 60th birthday. St George and the Dragon uses the 30 harps in the orchestra to tell the traditional story of St George's rescue of the princess from the dragon. 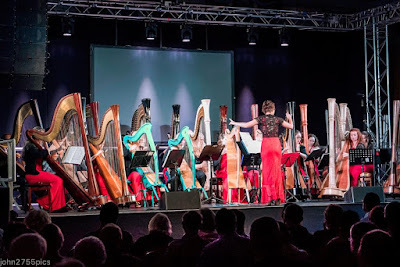 Harpist Luisa Cordell founded the International Harp Ensemble, now known as the National Youth Harp Orchestra, in 2002 with just eight young harpists from Surrey, where she teaches, and it grew rapidly. In 2013 the ensemble visited the USA performing with The American Youth Harp Ensemble. During their trip they were guests of the British Ambassador and performed at the British Embassy and entertained Hillary and Bill Clinton and their family amongst other dignitaries.